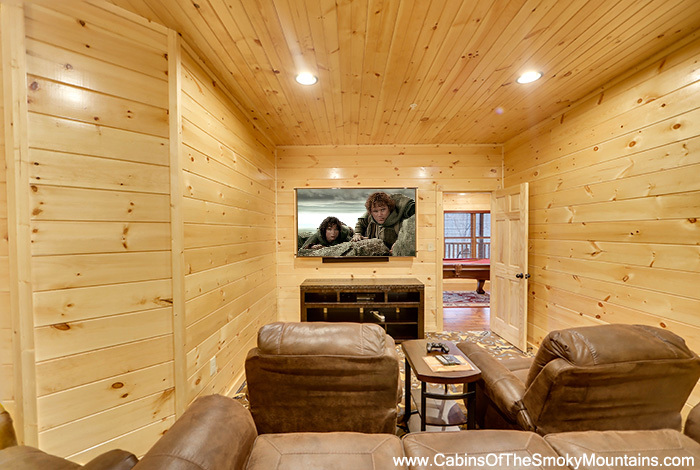 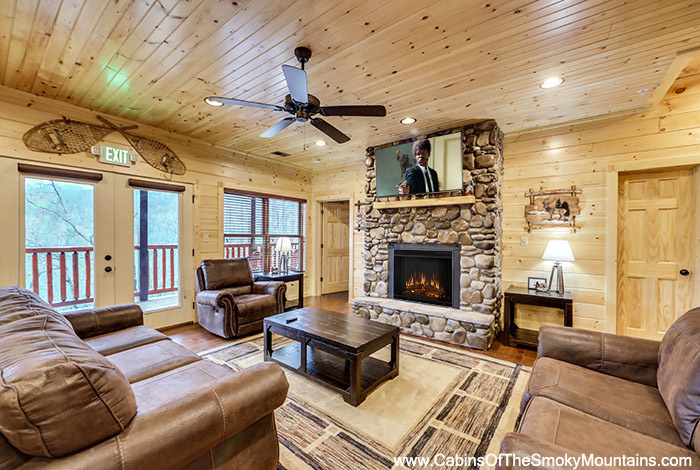 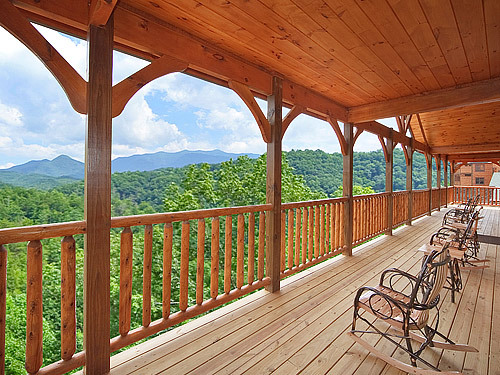 Mount LeConte Mansion captures the spirit of the rugged Great Smoky Mountains - a spectacular 10 bedroom cabin located at Gatlinburg Falls Parkview Resort, with breathtaking views of the National Park. 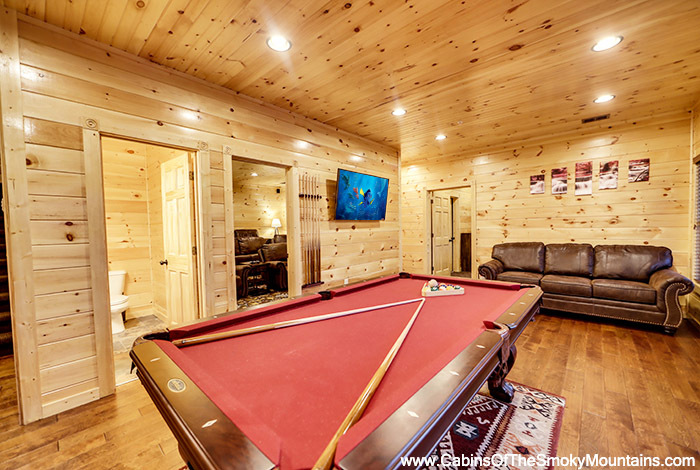 A brand new luxury property that redefines lodge style vacationing in the Smokies, Mount LeConte Mansion offers incredible amenities to fulfill the wishes of every guest featuring a 10-seat Home Theatre, seven king master suites along with full baths, all including a vertical jetted shower spa. 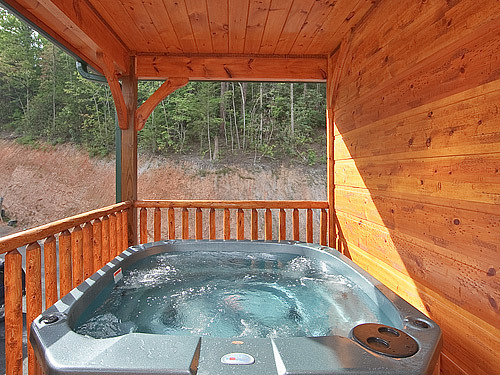 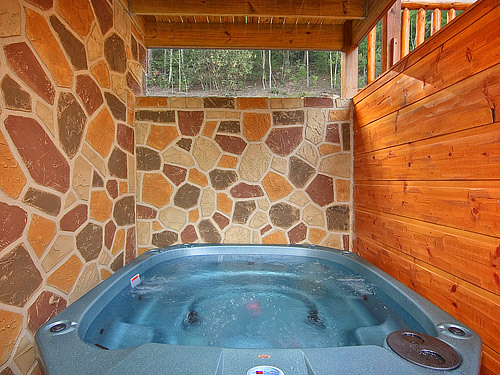 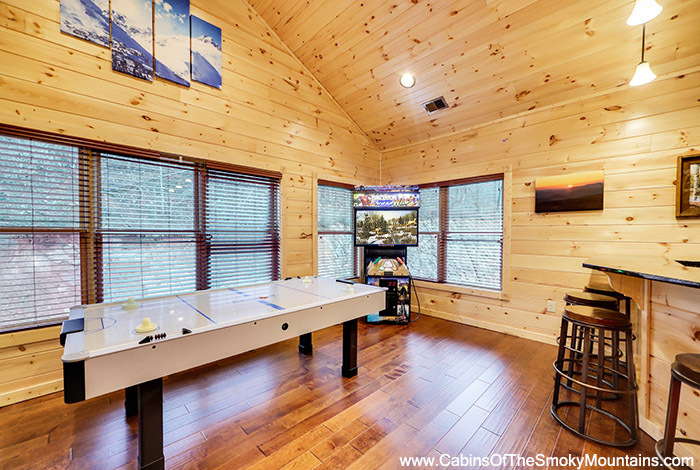 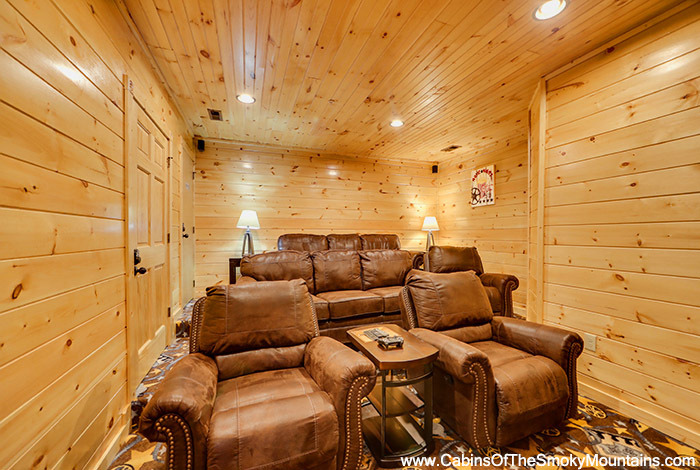 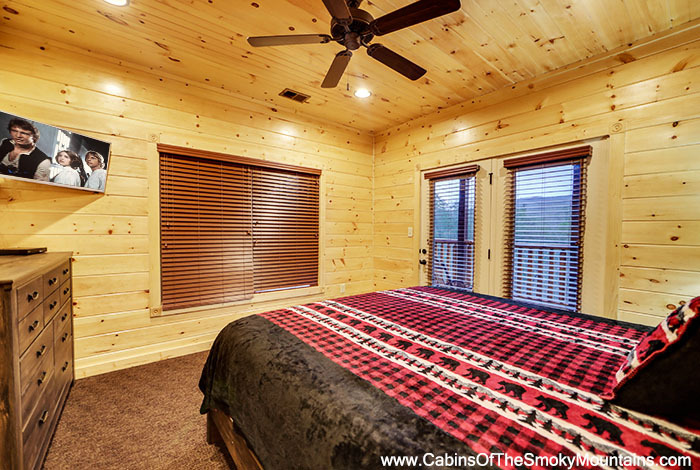 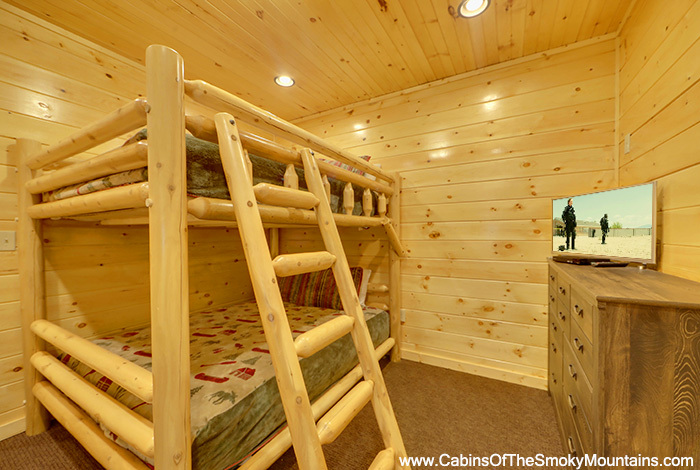 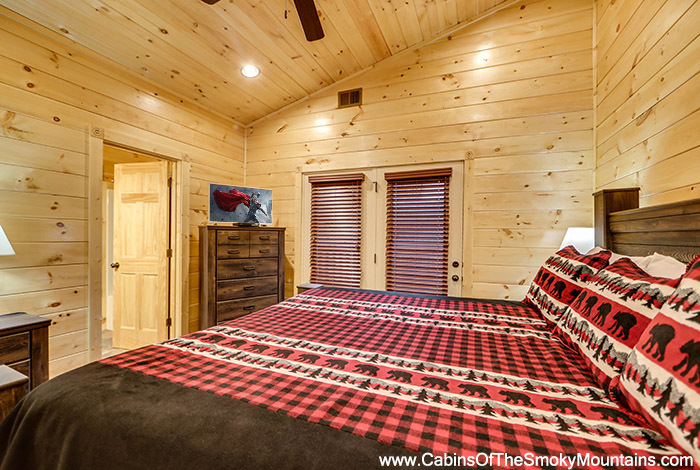 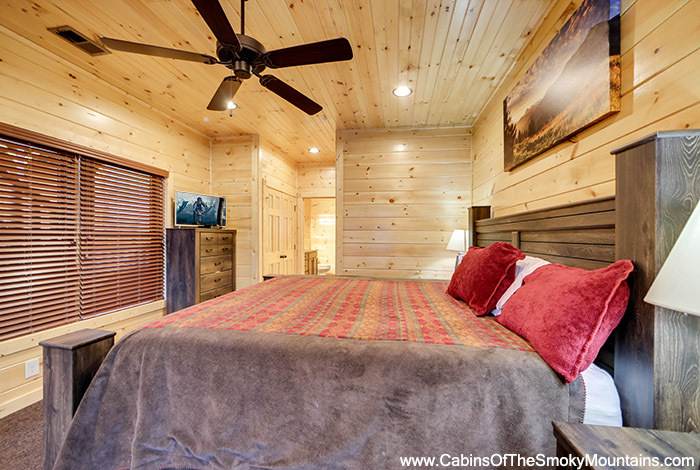 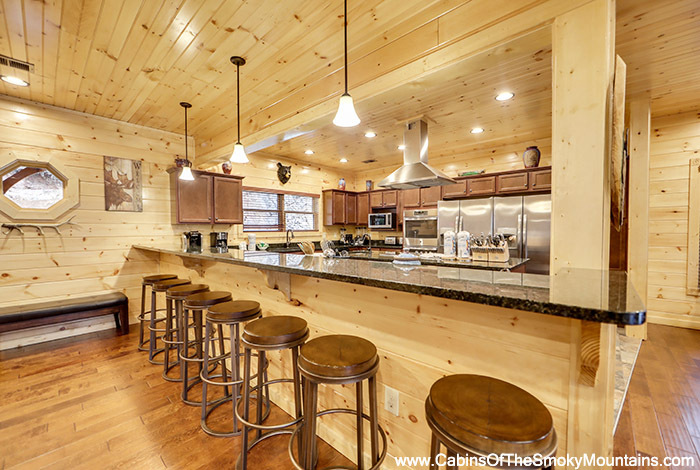 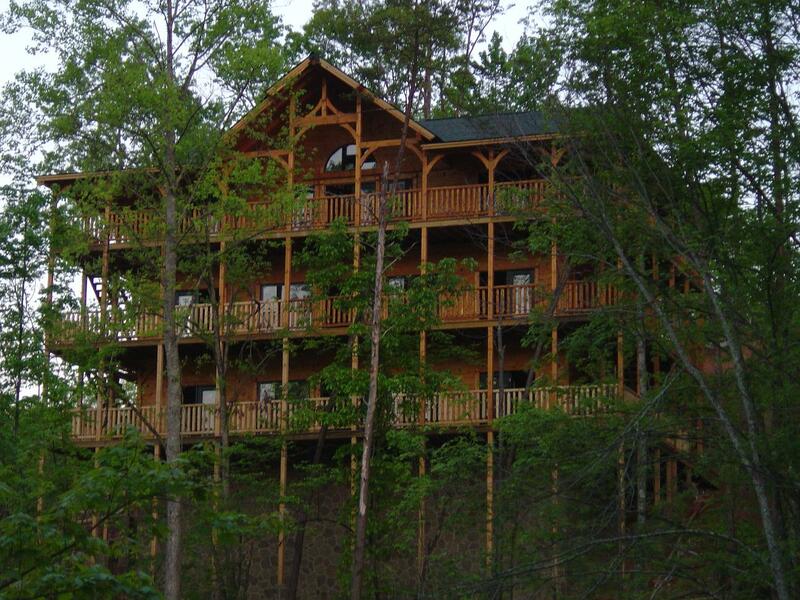 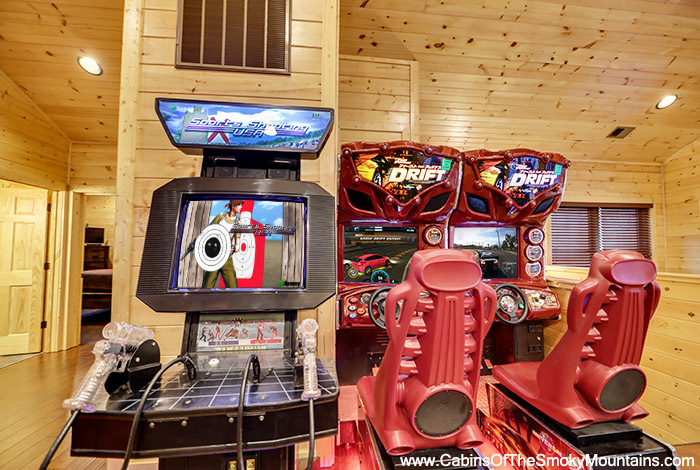 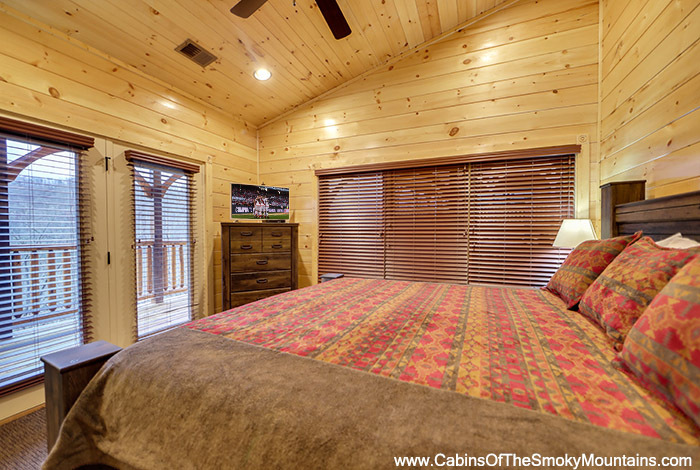 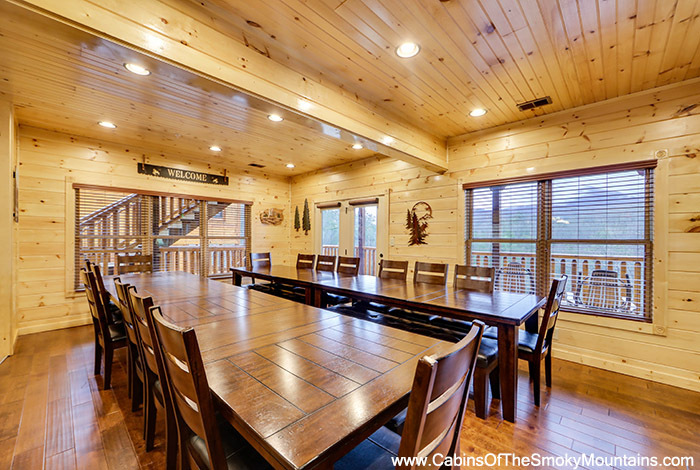 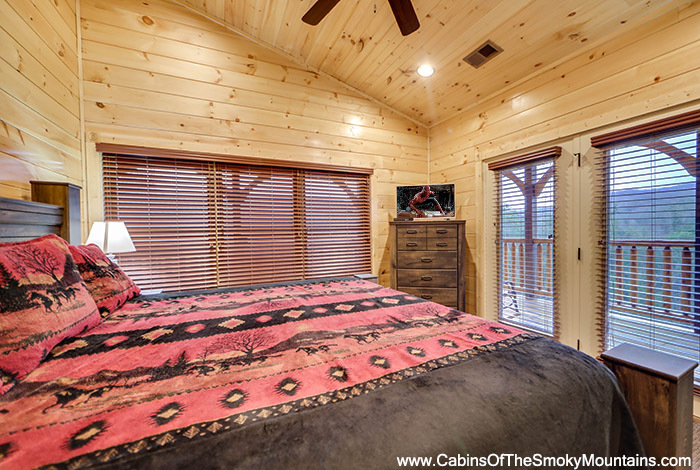 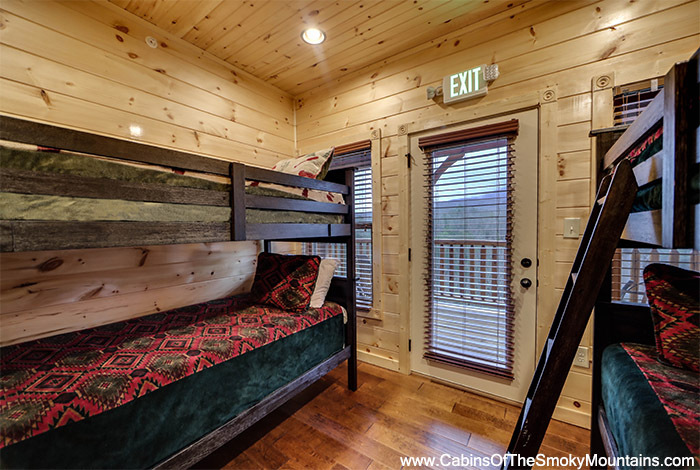 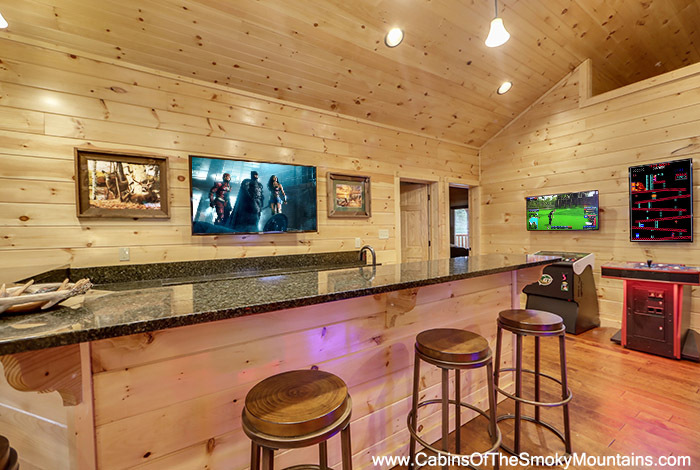 This Gatlinburg cabin lines up 20 rocking chairs and two hot tubs all offering the ultimate in relaxation. 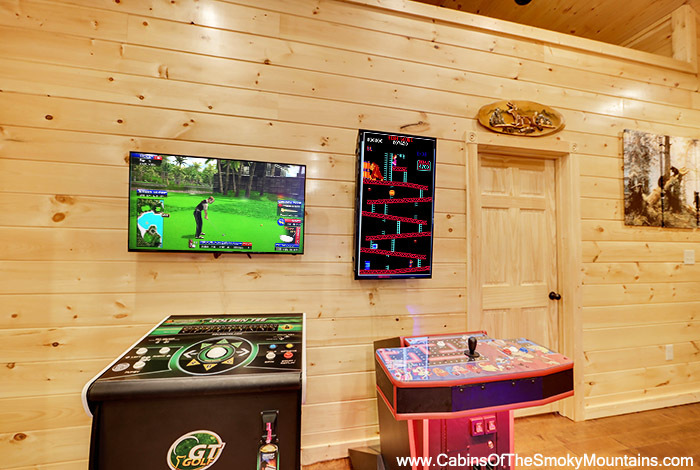 11 TVs, all with DVD, followed by a small arcade which boasts a pool table, air hockey, Ms. Pac Man, Galaga, Golden Tee, and pinball. 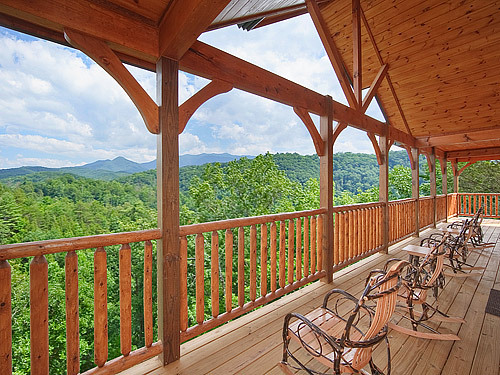 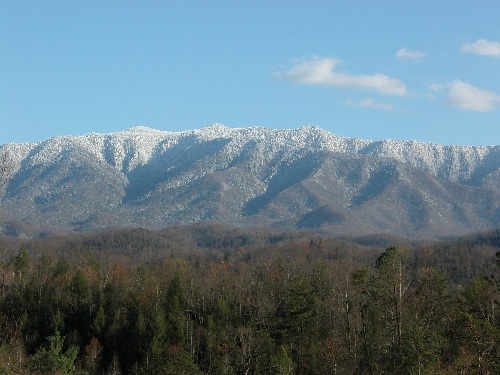 All just seconds from the Great Smoky Mountains National Park, downtown Gatlinburg, and Dollywood. 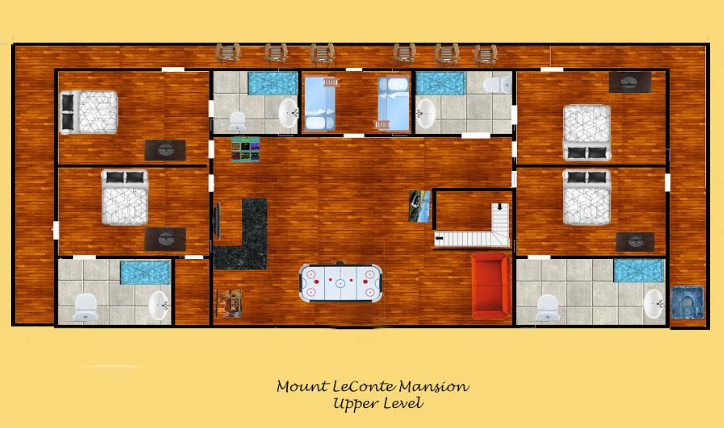 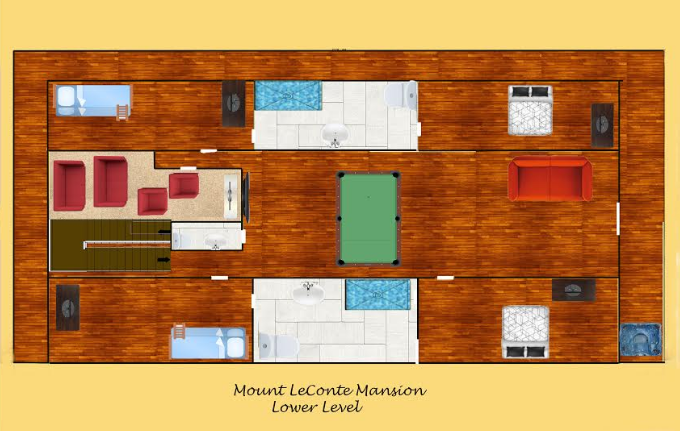 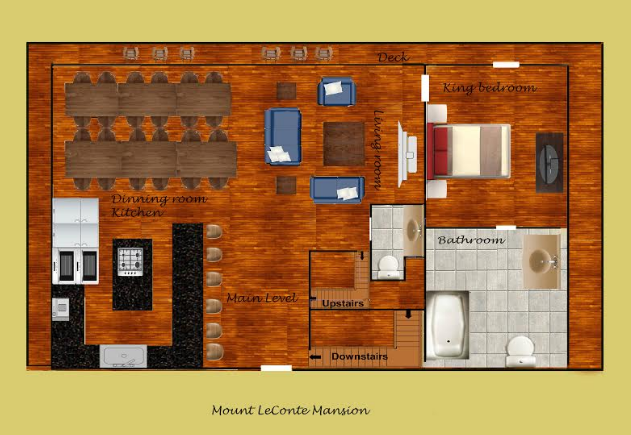 Add to that an expansive parking area and a massive gourmet kitchen and you have Mount LeConte Mansion, the ideal cabin for your family gathering. 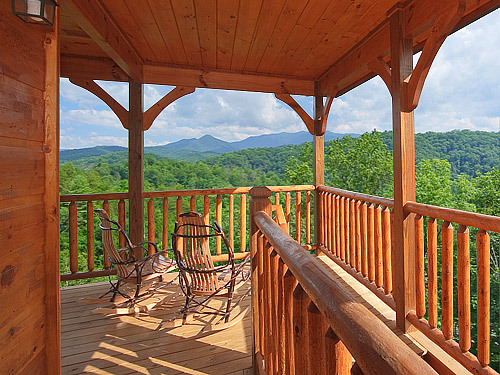 Gatlinburg Falls...where you get it all but never get enough.